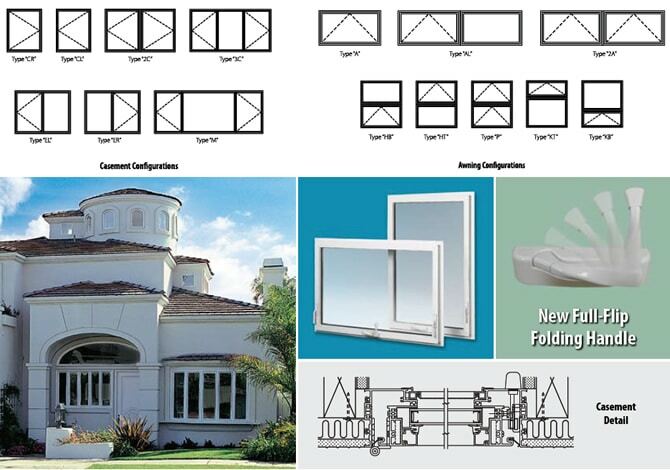 The clean, contemporary design and features of the Ambassador aluminum windows are unsurpassed in the industry. 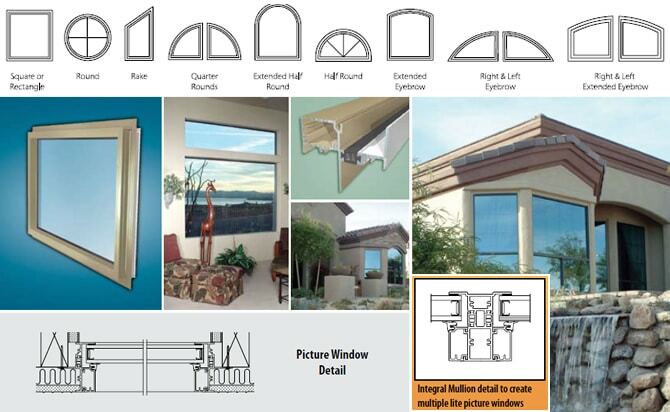 Durable aluminum window frames are maintenance free and easy to install. State of the art ThermoTech™ extrusions are fully thermally broken to achieve maximum energy performance. Our security features include a stylish cam latch and an optional secondary night lock. The deluxe delrin rollers ensure smooth and quiet operation with an adjustability that will ensure an airtight fit. The weep hole covers will minimize air and dust infiltration into your home. Single Hung sash panels tilt inward, making exterior glass cleaning a breeze. The vent panel is double weather-stripped, reducing air and dust infiltration around the sash. 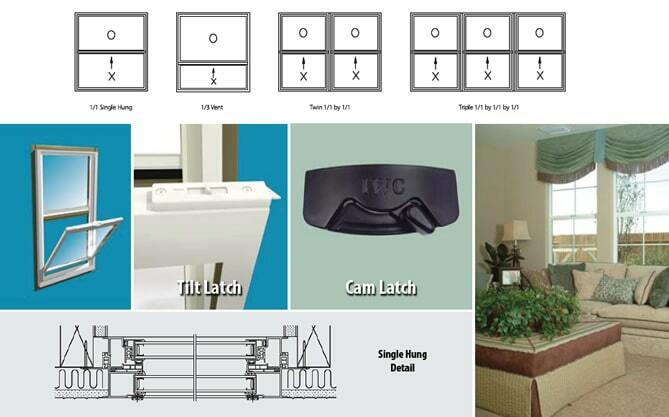 For your convenience, the design incorporates a simple-to-use latch mechanism that makes tilting the sash an effortless process. The main locking mechanism has a contemporary design and secures the sash using a positive action cam latch. Add personality to your home with the Ambassador Series Casement & Awning windows. 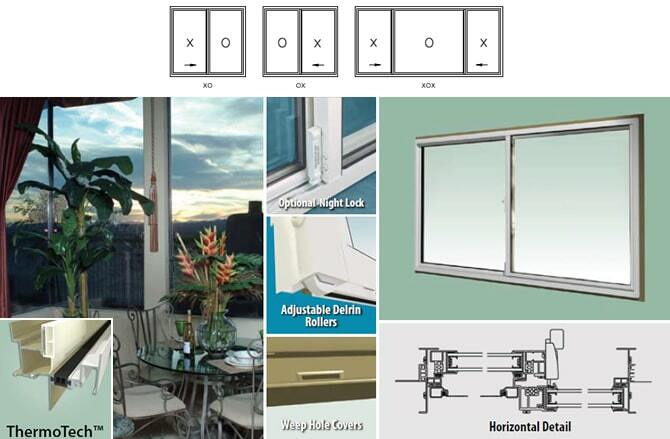 These windows have custom engineered hinges that are designed to give years of trouble free operation. Casements may be ordered with the hinge on the left or right while the awning will always hinge at the top of the sash. The full-flip folding handle offers a smooth, contemporary look when nesting the handle in the operator cover. Versatility to meet both residential and commercial specifications is achieved with the C40 AAMA Rating of the Ambassador Picture and Architectural shaped windows. Exterior extruded stops are engineered to eliminate unsightly fasteners to the exterior. All picture windows are 1” overall glazing.